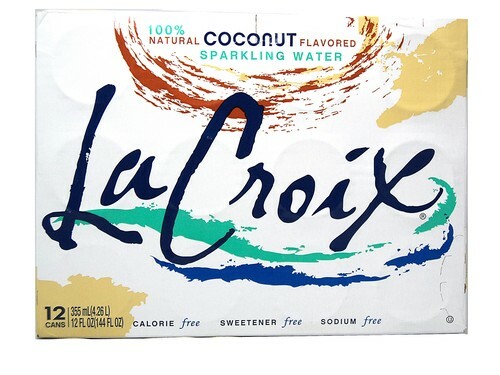 FRESH 12 Pack 12oz cans of LaCroix Natural Coconut flavored sparkling water!!! 0 calories, no artificial sweeteners and sodium free. I stumbled across this at a store and wow - this is the best sparkling water ever. I had actually put sparkling water in my coconut water before and thought that was good - but this is better. The good taste of coconut without the weird aftertaste. I love this.